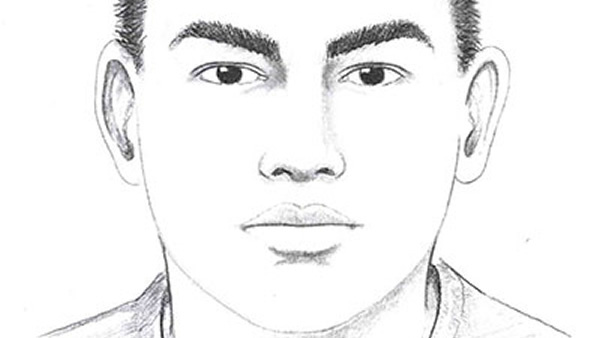 SAN JOSE -- The San Jose Police Department today released a sketch of the suspect believed to be responsible for a fatal shooting last month. Police describe the suspect as a Hispanic man in his 20s who was seen wearing a red shirt and khaki-colored pants. Police identified the victim as Rafael Espinoza, 33, who died in a shooting reported at 11:57 p.m. on Aug. 23 in the 2000 block of Lavonne Avenue. Anyone with information is asked to contact Detective Sgt. Raul Martinez or Detective Jorge Santiago of the San Jose Police Department's homicide unit at (408) 277-5283.on.